Mitch Albom has been writing more eulogies lately than most rabbis. I was deeply moved Sunday after reading Albom's beautiful memorial for his sister (technically his wife's sister, but he lovingly removed the "in-law" title), who died after battling breast cancer recently. 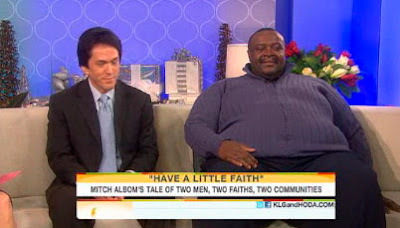 Yesterday, Albom traveled to New York City with Reverend Henry Covington to appear on NBC's "Today Show" together. Covington, the pastor of Pilgrim Church/I Am My Brother's Keeper ministries in Detroit, was featured prominently in Albom's best-selling book last year, "Have a Little Faith." 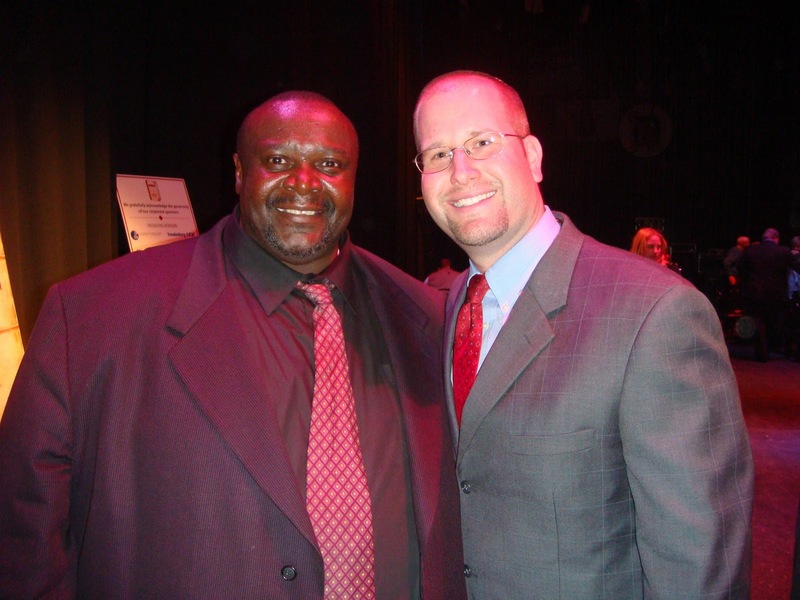 Sadly, Henry Covington passed away Tuesday night at 53 in New York, his hometown. Covington's church was well-known for the giant hole in its roof, which led Albom to create the Hole in the Roof foundation. As the driving force behind the fundraising efforts, Albom was able to help have the hole in the church roof repaired. I had the great opportunity to meet Henry in October 2009 at the Fox Theater in Detroit when Mitch Albom brought many of his friends together to raise money for the I Am My Brother's Keeper ministries in Detroit. While it was great to meet such celebrities as Dave Barry, Anita Baker and the late Ernie Harwell, the biggest treat was talking to Rev. Covington who truly became a local hero in Detroit. Mitch Albom posted a statement on his Web site, announcing Henry Covington's death: "Henry was a dear friend, an inspiring pastor, and a very kind soul. He took care of those who were ignored by others. He opened his home and his church to those who needed him most. And he gave thanks each day for the opportunity to do so." Covington is survived by his wife, Annette, and their four children. UPDATE: Mitch Albom has published his obituary for Henry Covington on the Detroit Free Press website. I've known Pastor Covington for many years and He is and has always been one of the most humble, loving people I have ever met. The city of Detroit has truely lost an asset but his vision and purpose must continue. God bless and keep his wife, children and all his members in their time of need. To know pastor covington is to love him, he was a good man and a blessed man of God may his soul rest in peace he will be missed and may God bless the family. Thank you, pastor Covington for showing the world what true kingdom assignment is all about. He was an incredible man with a hreat big enough to match himself. He will be dearly missed.